Cahoon Plantation community is sold out and is not in active development by builder. 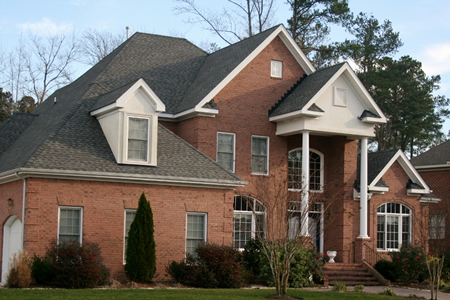 If you are interested in Cahoon Plantation or similar new home communities, contact us today! Our agents are very familiar with new and newer construction in Chesapeake, and can identify resale opportunities in Cahoon Plantation, as well as builder inventory available in nearby or similar communities in Chesapeake. To view 11 more pictures, interactive maps and the full, detailed description of the Cahoon Plantation community, please Login. Just a stone’s throw from the Great Dismal Swamp National Wildlife Refuge, this development is nestled in southern Chesapeake. This location is perfect for anyone in the civil or legal fields as the Chesapeake Municipal Center is only a short drive away. Service members won’t have far to commute to area bases such as Naval Medical Center Portsmouth, the Coast Guard Finance Center and Norfolk Naval Shipyard. Properties here may come with crown molding, chair rail, gas fireplace, ceiling fans, pre-wired speaker system, ceramic tile allowance, granite countertops allowance, recessed lighting, oil bronzed or brushed nickel hardware, custom cabinetry, hardwood flooring, professional landscaping, sod, electric garage door opener(s), dual-zone heating and cooling system, vented crawl space, composite wood decking and much more. Cahoon Plantation homeowners are situated in a prime position to learn to play golf or perfect their golf swings. Excellent courses at Cahoon Plantation and Chesapeake Golf Club are on both sides of this new construction development. While some urban areas may give the impression they are too cramped, that is not the case in this subdivision as builders created these properties near shops, restaurants, schools and entertainment, where there is still plenty of room to roam. Building a new home here can be a great beginning to an active lifestyle in Chesapeake, VA. Send me more information about communities similar to Cahoon Plantation. Our agents gladly offer FREE property tours of Cahoon Plantation, Chesapeake and homebuyer consultations to all serious buyers.